The Disney Dining Plan is available to guests who are staying at a Walt Disney World Resort and have purchased Magic Your Way Tickets. All information below is based on 2018 prices and included restaurants. What is included with a meal? What is not included with a meal? How do I redeem my Dining Plan? How can I check to see how many credits I have remaining? What about children on the Dining Plan? What are the different dining plans available? Thank you for including a link to all of the menus. This helped me evaluate that dining plans would not work for us as we tend to eat light and pick up some of our own groceries, except for a few special meals, and would not come close to the total on most days. I’m so glad it helped!! The dining plan can be great for some families, but like you said, depending on how your family eats, it can end up costing way more than you would spend out of pocket! As its our first vacation like this we decided to splurge on the deluxe. I like having everything paid in advanced so there are no surprises. I plan on seeing how much we would have spent verses the cost of the meal plan. It’s an overwhelming decision for a first time Disney family. That’s why I love the meal plan too. Everything is paid for in advance and you don’t have to worry about it. We did deluxe on our last trip and we loved it!! It was expensive but we had some of the most incredible experiences! It really can be an overwhelming decision. I hope you and your family have a wonderful vacation! Let me know how you make out with the dining plan! Thanks for posting this. I feel this is one of the more confusing parts of booking a Disney trip for most families. It’s hard to find all of the pertinent information in one spot. I agree Christy, it can be very confusing! I’m glad you found it helpful and hopefully it will help families when planning their trips! My husband and I are going to Disneyworld in December. 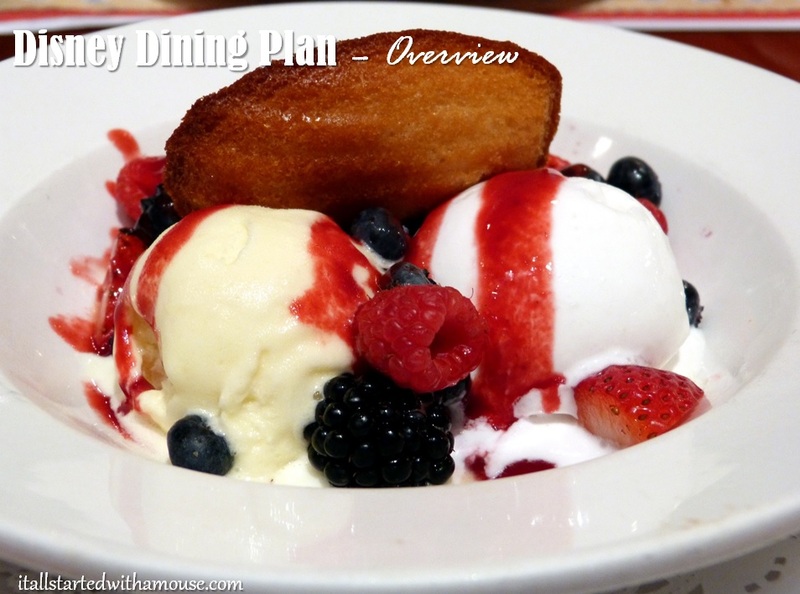 Because of diet restrictions we share our meals.My question is can we purchase just one dining plan ? If so how do we do that? Hey Allyson, that is a great question! Unfortunately the dining plan is linked to your room reservation and everyone staying in that room must have the same dining plan. Therefore you would not be able to share a dining plan. You guys will probably make out better without the dining plan though! There are a few changes that should be noted. 2017 changes include for DDP, 2 snack credits and no desert with QS meal. You are absolutely right! I made the proper changes to reflect this. Thank you!